A new report claims that Apple is preparing to launch its fifth-generation iPhone in the U.S., U.K., France, Germany and Japan in a matter of weeks on Friday, Oct. 14. The claim comes from Japanese website Macotakara, which reported on Tuesday that Apple is likely to launch its so-called "iPhone 5" in those five countries on Oct. 14. That aligns with details AppleInsider was told last week, namely that Apple has blacked out vacation time for retail employees at some locations on Oct. 14 and 15. In addition, earlier this month Stephane Richard, CEO of French wireless carrier Orange, said that Apple's next iPhone would be released around the same time, as he suggested a launch date of Oct. 15. The rumored Oct. 14 launch date also aligns with the anticipated Oct. 4 event where Apple Chief Executive Tim Cook is expected to introduce the next iPhone at a media event on his company's Cupertino, Calif., campus. 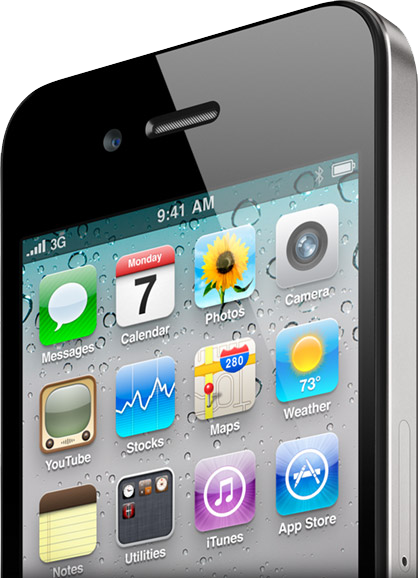 A Friday iPhone launch would not be new, as the iPhone 3GS launched on that day of the week in June of 2009, the iPhone 3G went on sale on a Friday in July 2008, and even the first-generation iPhone became available at 6 p.m. on Friday, June 29, 2007. In fact, only the launch of the iPhone 4 in 2010 did not occur on a Friday, falling instead on a Thursday last June. Apple is expected to release the golden master build of its iOS 5 mobile operating system to overseas handset assemblers sometime this week, allowing the software to be installed on the iPhone 5 hardware. Golden master code is typically identical to what eventually becomes the final public software release. Macotakara first reported this March that Apple was not yet aligning part suppliers for its fifth-generation iPhone. The site correctly said Apple's next handset would miss the company's fiscal 2011, which concludes at the end of September, putting the device on track for an October launch. Apple has typically introduced its iPhone upgrades in the June-July timeframe, unveiling the hardware at its annual Worldwide Developers Conference. But this year's WWDC proved to be a software-centric event, with the unveiling of iOS 5 and iCloud and no new iPhone introduction.